Here you can read the definition of Munchausen by Proxy…I made some changes to reflect what I’m talking about with respect to global warming fraud, but the basics are there. Munchausen by proxy syndrome (MBPS) is a relatively uncommon condition that involves the exaggeration or fabrication of climate illnesses or symptoms by a primary caretaker (scientist). 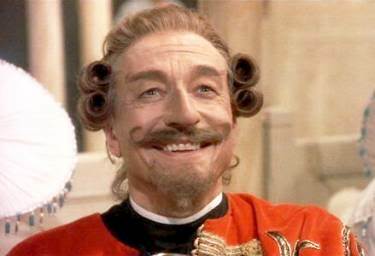 One of the most harmful forms of science abuse, MBPS was named after Baron von Munchausen, an 18th-century German dignitary known for telling outlandish stories. Sound familiar? See the the similarities? Read on. In MBPS, an individual — usually a scientist or warmer — deliberately “makes” the planet appear sick or convinces others that the planet is sick. The scientist or warmer misleads others into thinking that the planet has climate problems by lying and reporting fictitious data. He or she may exaggerate, fabricate, or induce symptoms. As a result, scientists usually order tests, suggest different types of solutions (like carbon taxes and other asinine ideas), and may even hospitalize the planet or perform surgery like drilling ice cores to determine the cause. Sound like some warmers and scientists we know? Sure does to me. Typically, the perpetrator feels satisfied by gaining the attention and sympathy of warmers, greentards, and others who come into contact with him or her and the planet. Some experts believe that it isn’t just the attention that’s gained from the “illness” of the planet that drives this behavior, but also the satisfaction in being able to deceive individuals that they consider to be more important and powerful than themselves. (Like Obama, Gordon Brown, etc). Because the scientist or warmer appears to be so caring and attentive, often no one suspects any wrongdoing. A perplexing aspect of the syndrome is the ability of the scientist or warmer to fool and manipulate other scientists and the public. Frequently, the perpetrator is familiar with the science profession and is very good at fooling the scientists and warmers. Even the most experienced scientists can miss the meaning of the inconsistencies in the Earth’s symptoms. It’s common for scientists to overlook the possibility of MBPS because it goes against the belief that a scientist or warmer would never deliberately hurt his or her Earth or fellow human beings. a scientist or warmer who isn’t reassured by “good news” when test results find no climate problems exists, but continues to believe that the Earth is ill.
Other theories say that Munchausen by proxy syndrome is a cry for help on the part of the scientist or warmer, who may be experiencing anxiety or depression or have feelings of inadequacy. Some may feel a sense of acknowledgement when the false science confirms their skills. Or, the scientist or warmer may just enjoy the attention that the sick planet— and, therefore, he or she — gets. The things that go on with climate “alarmist” “believers” “warmers” and scientist who continue to advocate anthropogenic global warming, or now “climate change” is amazingly similar to Munchausen by Proxy Syndrome. How can it be stopped. Well here’s some suggestions. the perpetrator is apprehended (Michael Mann vs. The State of Virginia announced today sounds fittingly correct). the perpetrator moves on to a new crisis when the original crisis gets old or the original crisis gets busted (like we have things popping up on the radar now such as ocean acidification a new problem so they can “save” us – not to mention control us, get their 15 minute of fame, plenty of grant money to continue perpetuating the fraud, and tax the snot our of us). the crisis “dies” because scientist and warmers finally realize their BS isn’t making and they cease to try to pull the wool over everyone’s eyes. “tricks”, data manipulation, missing data, unfounded science, data from magazines, peer-reviewed papers that are only peer-reviewed by fellow “warmer” scientists or non-scientists who happen to agree with their position. I’d suggest we’d be better off getting the men in the white coats to grab these guys, put them in straight-jackets, and let the psychiatrists work on them until they admit their problems and get therapy. Think about it. What is going on with climategate is eerily similar. In AGW we have another factor as well. Huge bags of money. And by “huge bags” I do not mean the merely mediocre bags of funding available to the researcher who confirms AGW, but rather the much larger bags that will become available to anyone who manages to control the world wide flow of carbon credits and energy access. Let’s be clear: if the current push to espouse AGW were only another example of science group think — such as phrenology, N-Rays, or polywater — it would never have progressed so far. Science really does tend (however weakly!) to correct itself over time, even if it is just by the funerals of old timers. What we are observing today is, (in my opinion) a co-ordinated effort to mislead, one that relies heavily on the use of mass media propaganda and public school indoctrination. The so-called science is wrong and unsupportable, but it is only the plausible cloak that has been created for the use of people who are much better and more experienced liars than even the worst of the scientists involved. Shouldn’t it be “Mannchausen by Proxy”? No it’s Munchausen…..Google it and see. “Shouldn’t it be ‘Mannchausen by Proxy’”? You missed the great pun. OK I get the “duh of the day” award. Now I get it…very good!